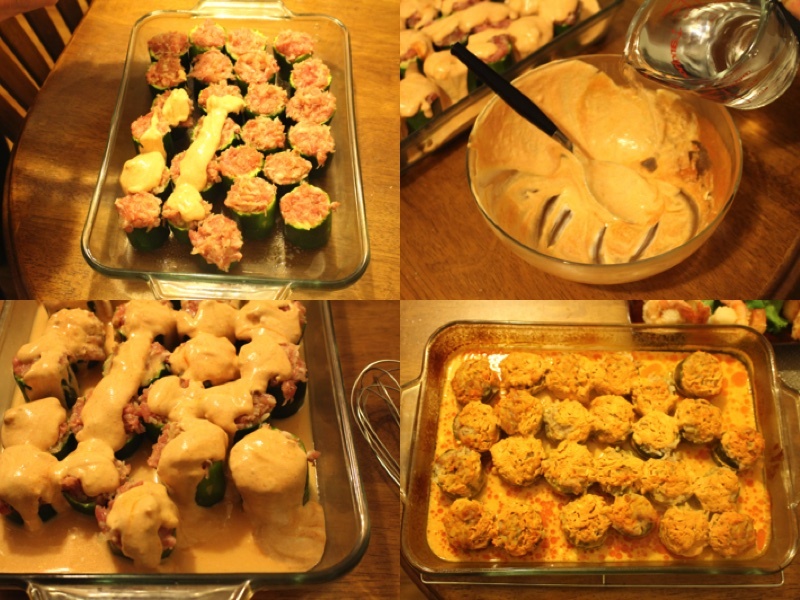 Stuffed zucchini with grounded chicken meat, rice and more. They are baked in a juicy homemade sauce which includes tomatoes sauce and sour cream. 2.) 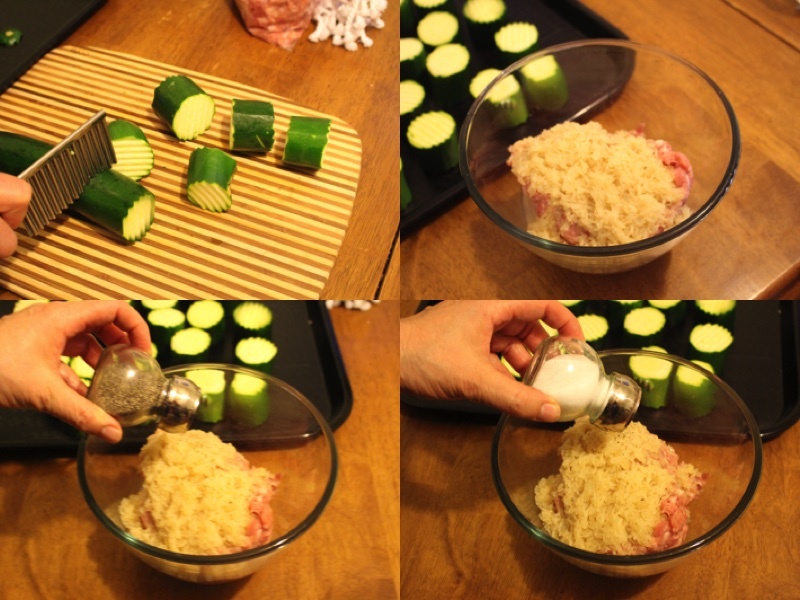 Divide zucchini into equal pieces, in a bowl combine meat, rice, salt and pepper. 3.) Add garlic salt and lemon pepper to the bowl that has the meat. Mix the ingredients well. 4.) With a knife cut the zucchini pieces into bowls make sure you leave the exterior and a little bit of the bottom to make it a bowl. Spray the glass baking pan with cooking spray. 5.) 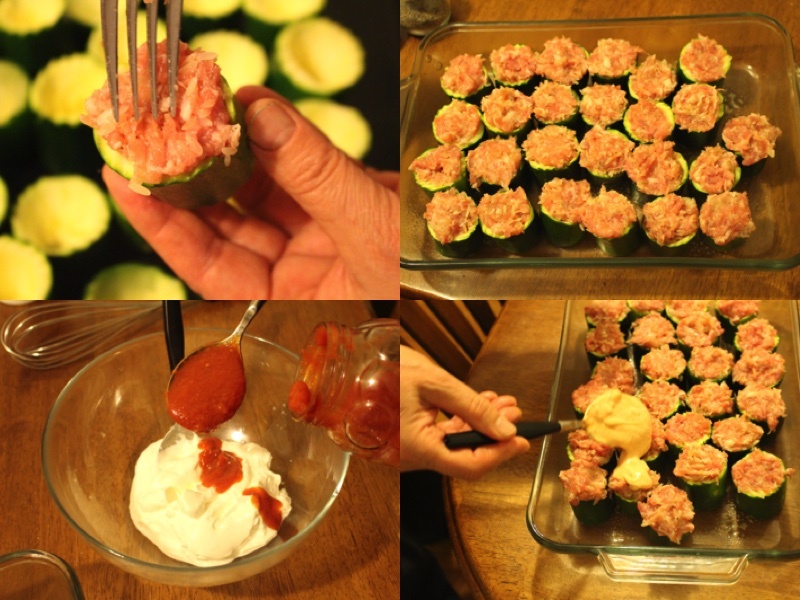 With a fork add small portions of meat to each zucchini bowl. In a separate bowl mix together tomato sauce and sour cream. Spread the sauce on the top of each zucchini bowl. 6.) In the same bowl add 1/2 cup of water and pour inside the baking pan. Place in a 400F for 30min and then reduce heat to 350F for 45min. 7.) Place on serving dish decorate and enjoy! 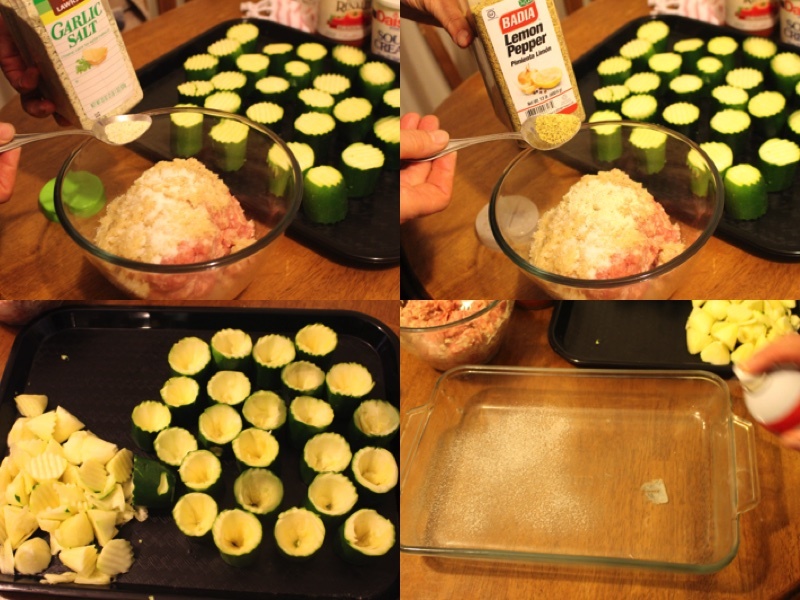 Divide zucchini into equal pieces, in a bowl combine meat, rice, salt and pepper. Add garlic salt and lemon pepper to the bowl that has the meat. Mix the ingredients well. With a knife cut the zucchini pieces into bowls make sure you leave the exterior and a little bit of the bottom to make it a bowl. Spray the glass baking pan with cooking spray. 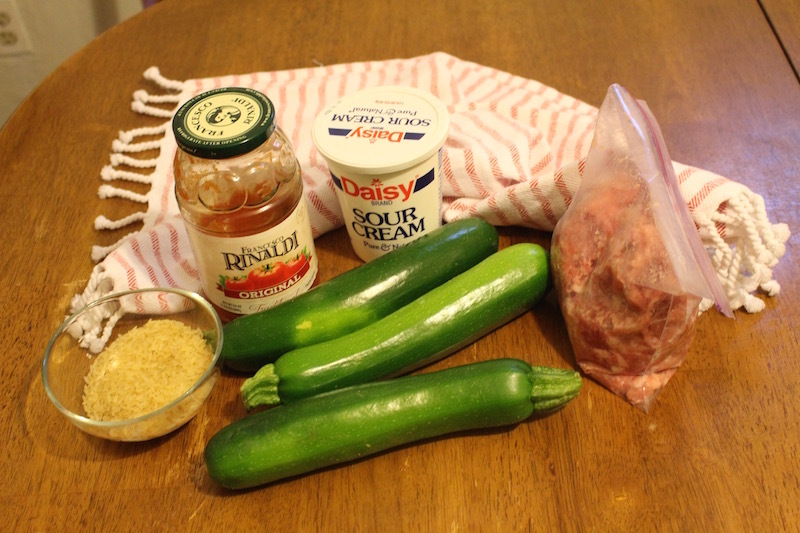 With a fork add small portions of meat to each zucchini bowl. 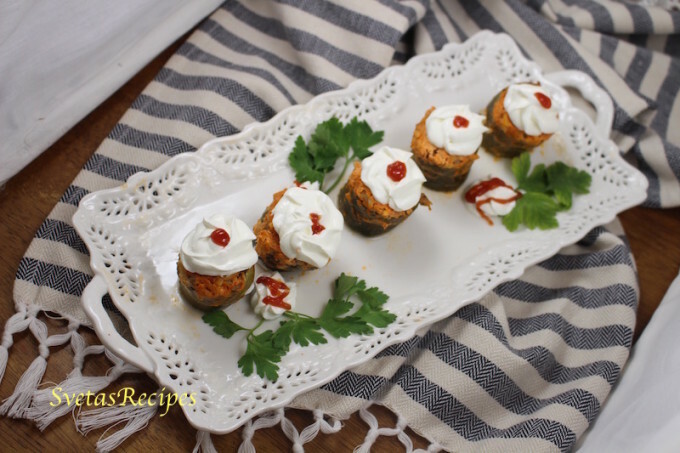 In a separate bowl mix together tomato sauce and sour cream. Spread the sauce on the top of each zucchini bowl. In the same bowl add ½ cup of water and pour inside the baking pan. Place in a 400F for 30min and then reduce heat to 350F for 45min. Place on serving dish decorate and enjoy!